Not So Cli-Shéa: Clear the Shelters! August 19th! 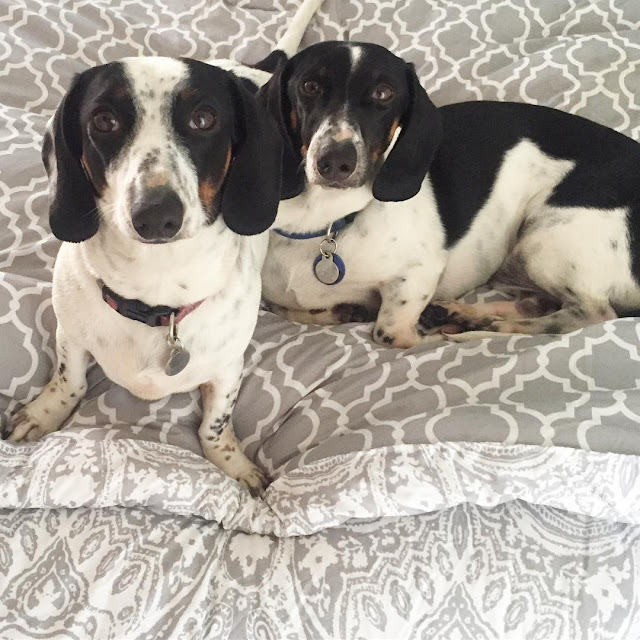 As most of you may already know, Sam and I have two adorable dachshunds Scully and Mulder that we got about a year and a half ago from Dachshund Rescue of Los Angeles. My vet recently told me about this awesome event called Clear the Shelters and I wanted to share with you! NBC and Telemundo owned stations are teaming up with hundreds of shelters across the country to host Clear the Shelters, a nationwide pet adoption drive to help find loving homes for animals in need. Over 50,000 pets found their forever homes in 2016! Sooo if you're looking for something to do this weekend, on Saturday, August 19, more than 700 animal shelters and rescue organizations throughout the country will open their doors to find new homes for homeless pets. Adoption fees will even be reduced for the event! VCA expert healthcare teams will be on-site, and all pets adopted during the event will receive a VCA limited health guarantee and a gift bag filled with pet essentials! Show Off Your Furry Friends! If you're anything like me, I know you love your pets and are a great advocate for pet rescue and welfare. You're encouraged to come out for the day to show your support! In addition, you're invited to post photos of you and your pets on Facebook, Twitter, and Instagram using the hashtag #CleartheShelters. For updates, stories, and a map of participating shelters, visit www.cleartheshelters.com. Your local NBC station's new social media campaign will engage the broader community throughout the campaign period by inviting them to post photos of their pets on all social media platforms and share why they love them using #LoveMyPet and #CleartheShelters. If you're looking for a new furry friend or know someone who is, head to the shelter this weekend to find your new best friend!